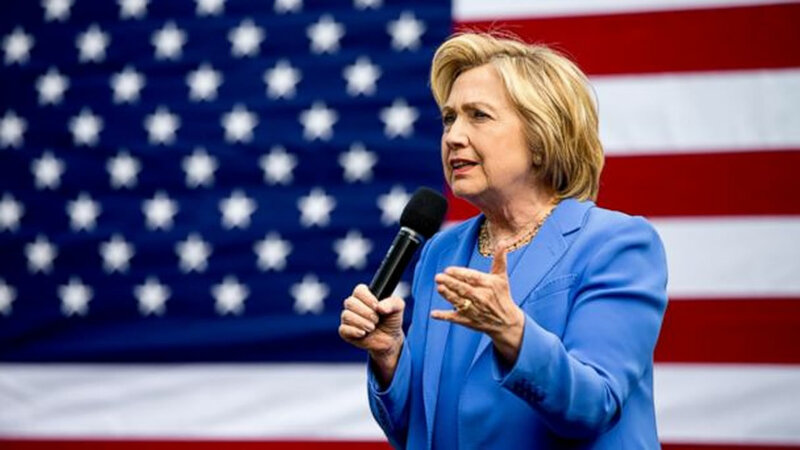 LYNWOOD, Calif. (KGO) -- Hillary Clinton is holding multiple campaign events across Southern California on Monday, the eve of the California presidential primary. Clinton is set to attend a noon "Get out the Vote" rally at La Fachada Plaza Mexico in Lynwood. Then, she will head to Leimert Park Village Plaza for another rally at 3 p.m., followed by an event at Long Beach Community College at 6 p.m. The former secretary of state will then head to the Greek Theatre for a concert later in the evening. The concert will feature singers Christina Aguilera, John Legend and Stevie Wonder. Clinton is fewer than 30 delegates shy of clinching the Democratic nomination. But a loss here in the Golden State on Tuesday could set the stage for a messy convention next month in Philadelphia. "I want to finish strong here in California. It means, it means the world to me," Clinton said. Supporters waiting in line in Lynwood say they're expecting Clinton to go after Donald Trump as she did during a rally in Sacramento. "We are facing a Republican nominee who wants to divide us," Clinton said at the Sunday rally. "That's why I believe this election, it's not about Donald Trump and me. It's about all of us. It's about whether we move forward together." Carson resident Nancy Salas Silva said she believes Trump is alienating many in the U.S.
"The scary part is there are still a lot of Trump supporters even though he is alienating so many of us," Silva said. Five other states besides California will hold primaries on Tuesday with a total of 694 delegates up for grabs. Despite his losses in Puerto Rico and the Virgin Islands this weekend, Sanders still shows no sign of backing down. He's gearing up for a "Get out the Vote" concert Monday night in San Francisco. Dave Matthews, Fishbone and John Dexter Stewart are all scheduled to perform. Sunday night, Sanders appeared at a similar "Get out the Vote" concert and rally in San Diego.